The EU lacks democratic legitimacy. 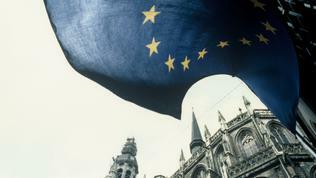 European institutions should be elected by European citizens. Citizens should participate directly in the EU decision making process. Lately, you can often read such statements in European media. The latest fashion in eurocriticism is the thesis that the decisions of 'Brussels' are not approved by the people and therefore are not democratically legitimate. 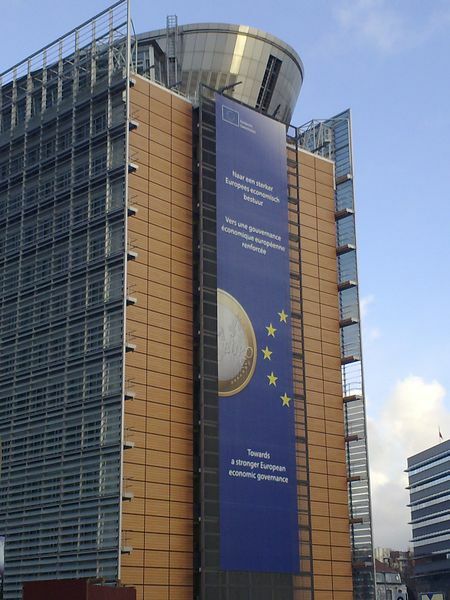 This view is shared by many politicians and analysts, and also enjoys broad support in the European Parliament - the only directly elected European institution. 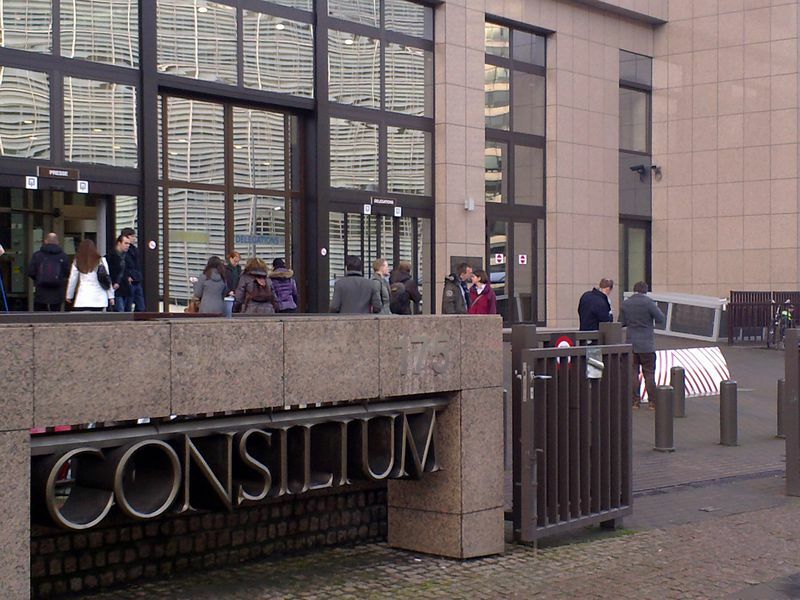 By saying 'Brussels' people most often mean the European Commission. It is often been compared to a government, by analogy with the structure of nation states, but the comparison is not entirely accurate. The Commission is the only EU institution empowered to propose new legislation and to monitor compliance with the existing legislation. The European Commission consists of 27 commissioners (one from each country) who are nominated by national governments and together with the president of the Commission are approved by the parliament. Moreover, there is a public hearing of each nominee, which was the reason, for example, Bulgaria to withdraw urgently the nomination of former Foreign Minister Rumiana Jeleva, who became a laughing stock during her hearing, and to nominate the current EU commissioner on humanitarian aid and crisis, Kristalina Georgieva. The Commission is accountable to the Parliament. However, the institution that actually makes decisions is not the Commission but the Council of Ministers. It has different formats (depending on the topic) and consists of member states` ministers. In many areas, the Council may decide only by unanimity (for instance, in the tax area), but there is increasing trend decisions to be taken by qualified majority, in order to avoid the possibility for countries to misuse their right of veto. After the entry into force of the Lisbon Treaty, the Council is increasingly forced to "co-legislate" with the European Parliament, i.e. to adopt new legislation only after the Parliament`s consent. The European Parliament is the only EU institution whose members are directly elected by the citizens of the Member States. The Lisbon Treaty has strengthened the EP's role as a legislator, by including 40 new areas in the co-decision procedure for adoption of laws between the Parliament and the Council of Ministers. 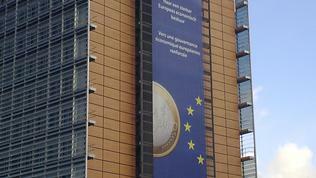 The Parliament also received a greater role in defining the EU budget. 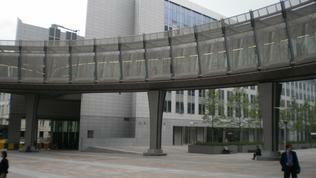 Since 2009 the European Council has also been a fully-fledged EU institution. It sets policy guidelines and priorities of the Union. 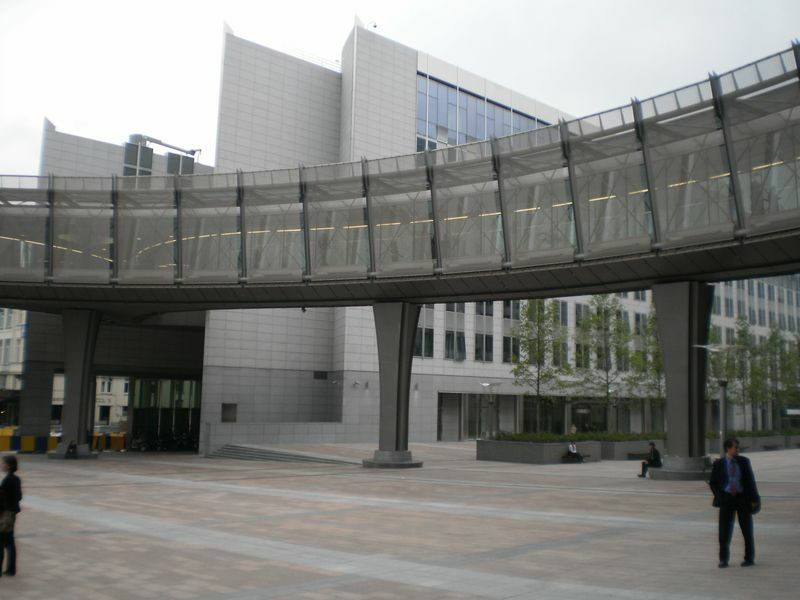 The European Council consists of the highest elected political representatives of the Member States: prime ministers and presidents with executive powers. The leaders elect a European Council president for a term not exceeding five years. 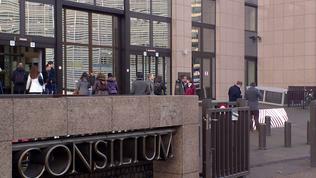 Currently, the President of the European Council is former Belgian Prime Minister Herman Van Rompuy. Having said all this, it is even more difficult to understand what do people mean by saying "Brussels decided." And this is a common practise both of the media and the politicians. If we follow the context of such statements, we will see that usually it is about unpopular decisions which are difficult to "sell" to voters. In these cases, responsibility is automatically being transferred elsewhere (in Brussels), because it seems far enough and vague enough to voters, so as not to affect their love for local politicians. This approach is not new, but the crisis has made it really obvious, because tough decisions had to be made on budget savings, rescue of troubled member states, greater coordination of economic and budgetary policies. All these decisions have been made more or less by the institutions described above, although the Parliament keeps complaining that its role has been underestimated and member states have usurped the right to take decisions to tackle the crisis. But even when decisions have been taken at the intergovernmental level (as on the Fiscal Compact) by the leaders, they have been approved by national parliaments, who are now directly involved in the process of European decision making. And behind the governments and parliaments there is always the will of their voters, so we have no reason to doubt the democratic legitimacy of their decisions. Where is the democratic legitimacy lost? So there is the question: if we have directly elected European Parliament, European Commission nominated by national governments and accountable to Parliament, and Council, comprising of representatives of the governments, where is the democratic legitimacy lost then? Why, when the government of a country takes a decision in his own capital it is quite legitimate, but when members of the same government take decisions together with their colleagues in Brussels, its democratic legitimacy is called into question? The proposed solutions show even more clearly the misformulation of the problem. For example, members of the European Commission to be elected directly by citizens in order for them not being just 'Eurocrats', as media like to call them. But how will this make Brussels closer to national capitals and moreover - to smaller towns and villages? MEPs are directly elected by citizens, but in most countries the European elections do not differ from those for national parliaments. Citizens vote according to their preferences for one or another national political party, and debates are focused primarily on national issues. Most people have no idea what the MEPs do nor how it affects their daily lives. Media also actively contribute to the EU image of some imaginary, complex and 'end in itself' structure, that is irrelevant to the peoples` real life. So often all prove to be surprised by a decision made at the European level, that has been discussed for a long time but national media simply ignore the issue as insufficiently interesting for their audience. This was exactly the case of Bulgaria`s joining the Euro Plus Pact, for example. Like media, politicians also do not like to talk about European issues, be it because the topics seem to be unattractive to voters or politicians don`t feel sufficiently competent on them. But the real reason for this vacuum between Europe and the citizens, called lack of democratic legitimacy, should be really sought at national level. "Sometimes, I have to tell you, I also feel that there is this disconnect about what we here, what the Heads of Government, say here in Brussels and afterwards what happens in our Member States," Jose Manuel Barroso said some time ago, European Commission president. National politicians and political forces are those who directly communicate with citizens and who by participating in the EU process of decision-making described above must express the will of citizens, on the one hand, and on the other to explain to them the decisions taken and the reasons behind them. And instead of "Brussels decided", it is time for them to start saying "we decided" because, as Swedish top diplomat Carl Bildt told euinside,"Brussels – it’s us." Democratic legitimacy of the European Union cannot happen by itself and outside the democratic processes in the member states. There is no way Brussels to gain the trust of citizens, while in Member States populist anti-EU parties are gaining momentum and the traditional political forces are powerless to oppose them. Moreover, they borrow the populist rhetoric, because it brings them more voters. But democracy is more than a short-lived victory of the majority. So, the search for democratic legitimacy should start immediately, but first from national political processes.